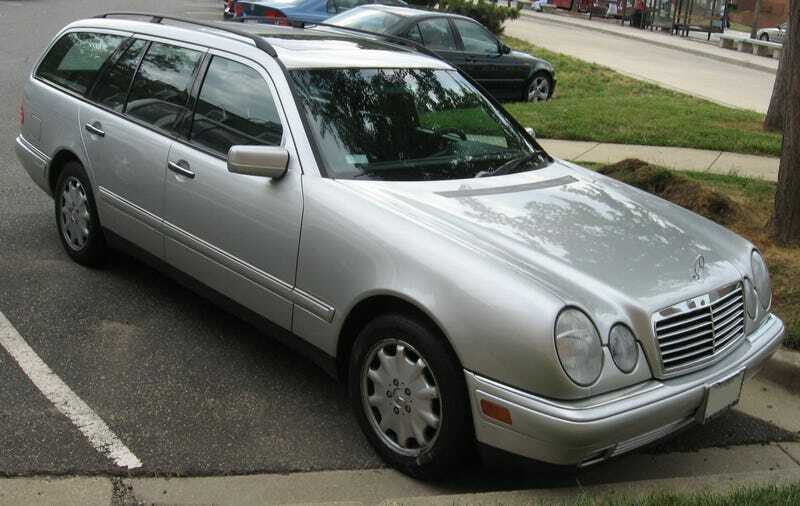 I just got back from a visit to my folk’s place back in SoCal, and whilst there drove around in their pair of W210s; 2000 sedan for dad, 2002 wagon for mom. Being retired, they don’t accumulate a lot of miles on their vehicles any more and rarely drive more than just a few miles from the house, so the problem with mom’s car doesn’t pop up during most driving. After about 10-15 miles of driving, usually at freeway speeds, the car develops a rather violent shaking and vibration that appears to be speed dependent and correlated to speed; having experienced it first hand it’s nothing compared to the terror I experienced when my crappy Ford Windstar lost a wheel weight, but it’s still scary enough. After a few miles it seems to go away. Dad and I were driving, the noise and vibration popped up but then went away a mile or two later when we slowed down due to traffic; I don’t know if it went away because of time or speed. The same thing happened on the way home, ironically on the other side of the same freeway where we felt it before, but I don’t think that’s related. We slowed down again (LA traffic - it’s a constant...) and it went away again. Things opened up a few miles down the road and we floored it on a transition, got it back up to 65-70 but the noise/vibration did not return, and the rest of the drive was just fine. They did leave the car with their trusted mechanic, and he checked out that right rear corner and didn’t find anything amiss. He also took the car home at night, driving it several extra miles at highway speed, but couldn’t reproduce the problem. So, any clue what’s going on? It doesn’t happen until after several miles of driving and then goes away. It remains constant, for several minutes, before disappearing, usually after slowing down. The frequency of the vibration appears to be speed-related, so it’s unlikely to be an accessory like a power steering pump or air conditioning compressor. It’s a rather low-frequency vibration felt throughout the entire vehicle, so it’s tough to pinpoint the location. The wrong lug bolts were used when putting on the spare, but that may or may not be an issue.